As a demolition team member for the construction of the new Martin Luther King Jr. Hospital and second district native and current resident, Nathan Covington feels like life is going his way again. 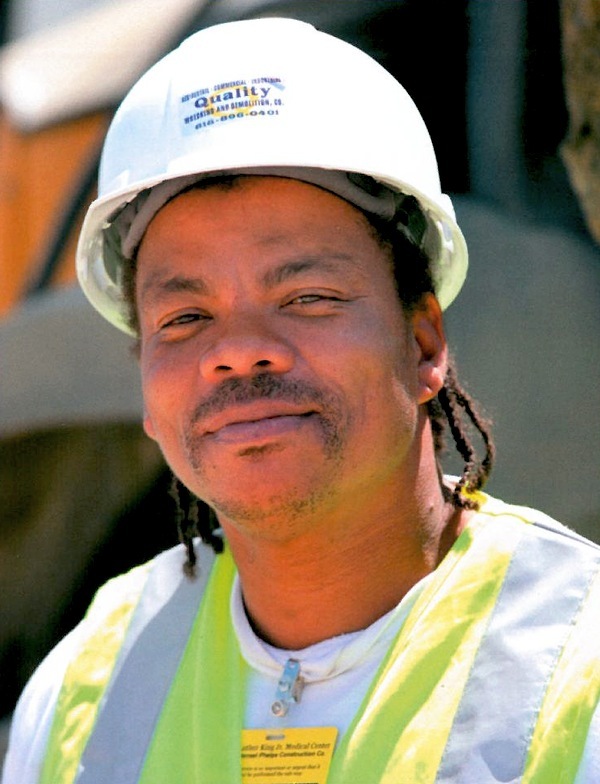 Being a part of the demolition crew gives him an opportunity to rebuild his construction career while learning the skills in the demolition field. “I have high hopes working here,” says Covington, 46. “I’m learning about different machinery that I’ve never used.” Raised by a single mother in the second district, Covington grew up with very little direction. Although he’s the youngest of three brothers, he didn’t find many positive male figures in his neighborhood. “Growing up in South Central was tough,” he says. “I didn’t have a lot of role models or guidance.” At age 13, Covington ditched school daily and was later ordered to stay in Juvenile Hall. Unwilling to learn his lesson there, he eventually returned, spending most of his teenage years either staying there or the California Youth Authority. In an effort to straighten his life after turning eighteen, he moved to New York to live with his older brother, a military police officer. But after returning to Los Angeles a year later, Covington began hanging out with the “wrong crowd” and got involved in a drug case, leading to a three-year prison sentence. He ultimately spent the next twelve years in and out of jail for a series of other crimes. Nowadays, Covington spends his weekdays working hard overseeing his laborer team while attending night classes at Trade Tech to study blue print reading and construction technology. He also happens to be one of the first residents to live at Playa Vista’s Foundation Park Apartments on the west border of the second district, where he’s enjoyed visits from his eight-year-old son and fifteen-year-old daughter. Los Angeles County Supervisor Mark Ridley-Thomas launched a high-tech outreach effort to tackle sexually transmitted diseases in the Second Supervisorial District, where STD levels are the highest in the County. Before the crowd of more than 50 health care advocates, ministers and first ladies, Supervisor Mark Ridley-Thomas led the press conference in front of the new Martin Luther King Jr. Center for Public Health in Willowbrook to announce cutting-edge enhancements to the sexually transmitted disease home testing “I know” program. The statistics painted a stark picture: STD levels in the Second Supervisorial District are the highest in the County, with hot spots centered in South Los Angeles, and Los Angeles County has the highest number of chlamydia cases and the second-highest number of gonorrhea cases of any county in the nation. More than 30,000 women and girls acquire infections every year, with younger women most heavily affected. In 2010, there were 20,337 chlamydia cases and 2,136 gonorrhea cases reported in females ages 15-24. With the goal of overcoming barriers to diagnosis and treatment, the County launched its award-winning “I Know” home test kit program in 2009, Monday, at the new Martin Luther King Jr. Public Health Center, Supervisor Ridley-Thomas and the Department of Public Health are rolling out cutting-edge enhancements to the program: New digital tablets and touch-screen kiosks now make home testing kits more widely and immediately available to women. Women who use the kiosks or digital tablets to order a kit will be able to receive their kit on the spot, without waiting for it to arrive by mail. All “I Know” materials and the website are available in both English and Spanish, and there is no cost to use the home testing program. Kiosks will be placed at selected venues in the Second District; digital tablets will be put in the hands of trained outreach workers at a wide variety of locations. Both kiosks and tablets will enable secure access to the program’s website to record kit orders, so that women can later obtain their results from the program website, or by calling a toll-free number. Women throughout the County will continue to be able to order kits from the www.DontThinkKnow.org website, or by calling the County STD Program’s toll-free hotline number, 1-800-758-0880, to have test kits sent to them by mail. “The “I Know” program has a track record of success,” the Supervisor continued, “so we come together today to encourage women who may be afraid — who likely have no symptoms, but who have made some choices that put them at risk — to take that first step toward getting help and taking a test right in the privacy of their own homes.” LA County Health Officer Dr. Jonathan E. Fielding concurred: “Easy diagnostic testing and effective single-dose treatments mean that there is no reason for anyone now to suffer infertility, tubal pregnancy, complications for newborns, or other serious long-term consequences of these unnecessarily common STDs.” With most cases being asymptomatic, regular screening by sexually active individuals is the only effective way to stop the spread of the these infections, said Dr. Fielding. 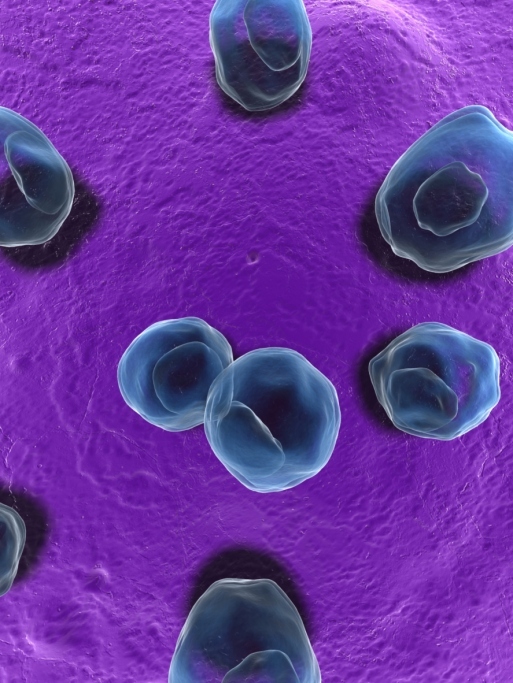 Chlamydia and gonorrhea are curable, but treatment does not prevent subsequent infection. The Centers for Disease Control and Prevention (CDC) recommends that sexually active women age 25 and younger be screened for chlamydia once per year. The “I Know” home testing program has been a true success. In its first year the website received 30,878 total visits and 2,927 kits were ordered. A total of 1,543 testable swabs were returned, of which 131 (8.5%) were positive for chlamydia or gonorrhea. “This program has been incredibly successful in promoting testing and finding STD cases,” said the Dr. Peter Kerndt, STD Program Director at the department, noting that few clinics can show a comparable rate of case detection, and that none can perform testing for such a broad cross-section of at-risk women. In addition, according to Dr. Kerndt, not all women can or will access a clinic, due to lack of transportation, privacy fears, or the lack of symptoms typical of these STDs. The launch of the new program coincides with the imminent opening of the new Martin Luther King, Jr Center for Public Health, at the corner of Wilmington and 120th Street, a County public health facility that went from ground-breaking to completion in less than one year. According to Supervisor Ridley-Thomas, the expanded “I Know” program epitomizes the potential of public health, and dovetails with the mission of the new health center, in the 21st century. Supervisor Ridley-Thomas noted that the expansion of “I Know” is also linked to a comprehensive strategy, further extending linkages from clinics to the surrounding community. Other elements of the comprehensive strategy include an increase in community-based public health workers to follow-up on cases and ensure treatment of women and their partners, school education programs, clinic referral guides for high school and middle school students, a County authorized use of a mobile van for outreach and distribution of condoms and partnerships with community-based agencies, as well as faith-based organizations. These partnerships will put tablets in the hands of trained community outreach workers to deliver home test kits in the communities most impacted by these infections. Supervisor Ridley-Thomas emphasized that public health is a critical investment that local government must make, because there is no other entity to do so. Supervisor Ridley-Thomas also hosted a breakfast on September 1, 2011 for some of the leaders from the ecumenical community to enlist their support for his initiative. The poignant discussions has resulted in the First Ladies of the Faith-based community taking a stand on this issue and offering a well-thought out plan to work with the Second District and the Department of Public Health to empower young women to take charge of their overall health and well-being. Previous evaluation of “I Know” conducted by the County’s STD Program showed that women ages 18-25 (all eligible for the home testing program) who had seen “I Know” marketing materials were more than 1.5 times more likely to have been tested for Chlamydia and gonorrhea in the past six months. The program also received an achievement award in 2010 from the National Association of Counties. In 2010, there were 44,648 total reported cases of chlamydia and 9,501 total cases of gonorrhea among L.A. County residents. 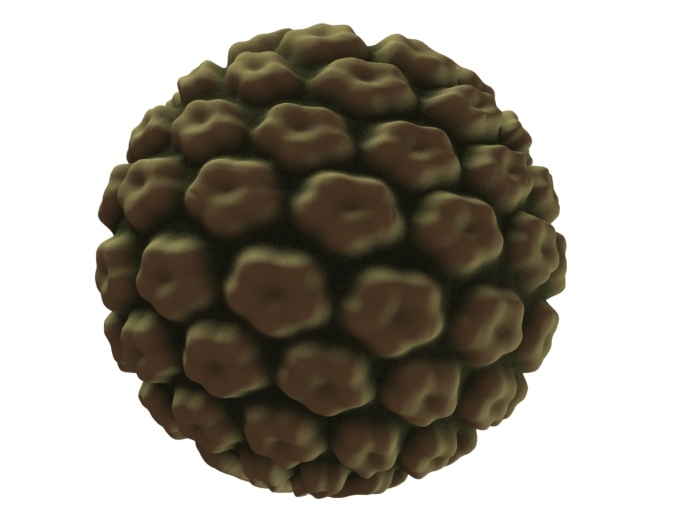 Among diseases with mandated reporting requirements, chlamydia and gonorrhea are the two most commonly reported infectious diseases in the United States. In closing the Supervisor notified onlookers that the Martin Luther King, Jr. Center for Public Health is the first facility in Los Angeles County to use a mobile STD testing van, touch screen kiosks, and digital tablets in the campaign against sexually transmitted diseases. 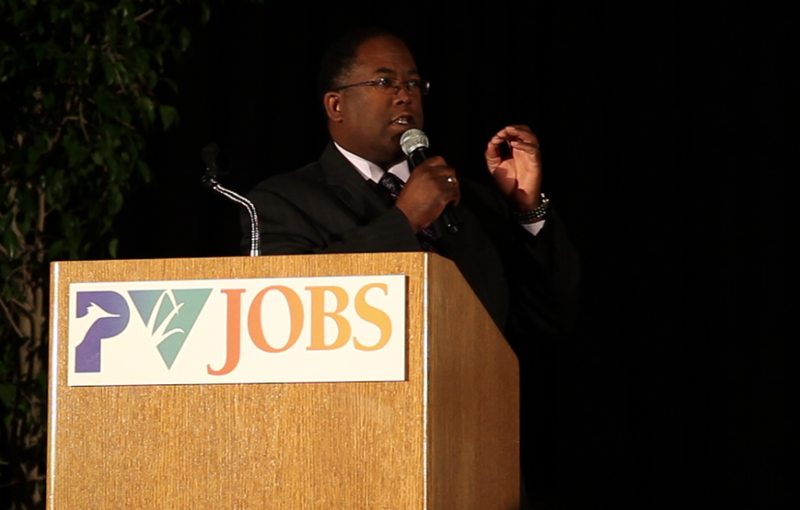 “You are witnessing history, right here, right now, and you are a part of it,” said Supervisor Ridley-Thomas. About eight kiosks will be placed around South Los Angeles. Test-takers are able to get their test results online or by calling 1-800-758-0880. On Sunday, October 9, CicLAvia returns to Los Angeles for its third year allowing the public to stroll through a 10.5 mile stretch without cars, vans, or buses. CicLAvia invites Los Angeles residents to forget about traveling in a car, bus, or on a motorcycle, and explore the streets of Los Angeles, on foot, bike, skates, skateboard or scooter. Non-profit CicLAvia makes getting around the streets of Los Angeles safe for families to not only enjoy the streets of Los Angeles but indulge in the restaurants, shops and public spaces that make Los Angeles unique. This year’s route extends from east Hollywood to Boyle Heights and includes MacArthur Park, the African American Firefighter Museum on Central Avenue, the South Lawn of City Hall, Hollenbeck Park in Boyle Heights, El Pueblo de Los Angeles and Olvera Street. Ciclovías began more than 30 years ago in Bogotá, Colombia, in response to the congestion and pollution of city streets. Today, Ciclovias can be found throughout Latin America and the United States connecting communities and eliminating the stress of traffic. Recognized as a model for creating public space, CicLAvia is Los Angeles’ adoption of a Ciclovías. The first CicLAvia was launched in Los Angeles in October 2010 with a well received response of approximately 100,000 participants. 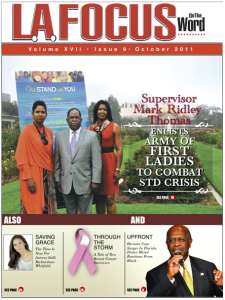 On Monday, September 19, Los Angeles County Supervisor Mark Ridley-Thomas launched a high-tech outreach effort to tackle sexually transmitted diseases in the Second Supervisorial District, where STD levels are the highest in the County. “Unfortunately, these infectious diseases are at unacceptable levels and are increasing, particularly among young African-American women,” said Supervisor Ridley-Thomas. “These are our mothers, our sisters, our daughters who are suffering from the health consequences of these STDs, and we cannot let them go untreated. Families depend upon them, communities depend upon them, but you can’t treat what you don’t know exists. Playa Vista Job Opportunities and Business Services (PVJOBS) brought together over 500 labor, business and community leaders to honor top workers and supporters at its annual Recognition Luncheon at the Cathedral Plaza in downtown Los Angeles. This year was titled “Building New Careers & New Lives.” PVJOBS is a non-profit corporation created in 1998 to fulfill a Los Angeles City Council mandate: provide construction employment opportunities for at-risk local residents at the Playa Vista development site. Today, as a result of their advocacy, PVJOBS works with several major construction projects. There are currently more than 100 community-based organizations providing life skills training to hard-to-serve individuals and referring them to PVJOBS for employment. Together with collaborators, PVJOBS provides an array of supportive services to enable client success. All referrals to PVJOBS are maintained in a database. As employment opportunities become available, PVJOBS queries the database and makes referrals to employers. Since most of the employment opportunities are construction and trade union affiliated, candidates are prepared for a union entry along with the cost of special tools and clothing barrier to employment. PVJOBS makes supportive services available to cover these costs for clients. PVJOBS is committed to supplying a minimum of 3000 hours work to each candidate. This is accomplished by re-referral to similar trade work upon contract completion and subsequent lay off. To date, PV JOBS has filled over 3,500 construction positions with more than 1000 contractors and a success rate of 89.5%. 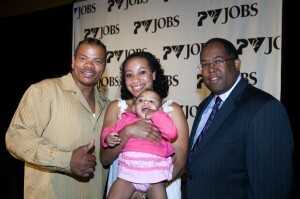 For more information about PVJOBS, please visit pvjobs.org.